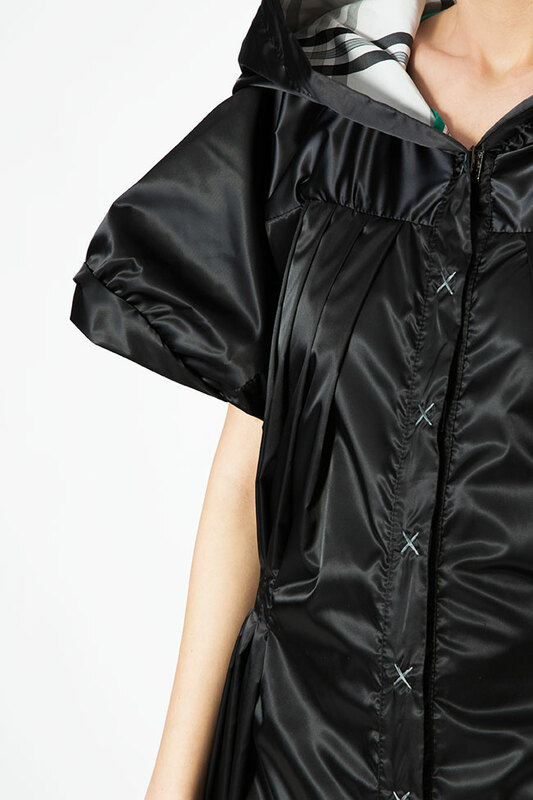 Edita Lupea is known for balancing the elegance of her designs with utilitarian elements – reflected in the draping and tying techniques seen throughout the Spring/Summer collection. 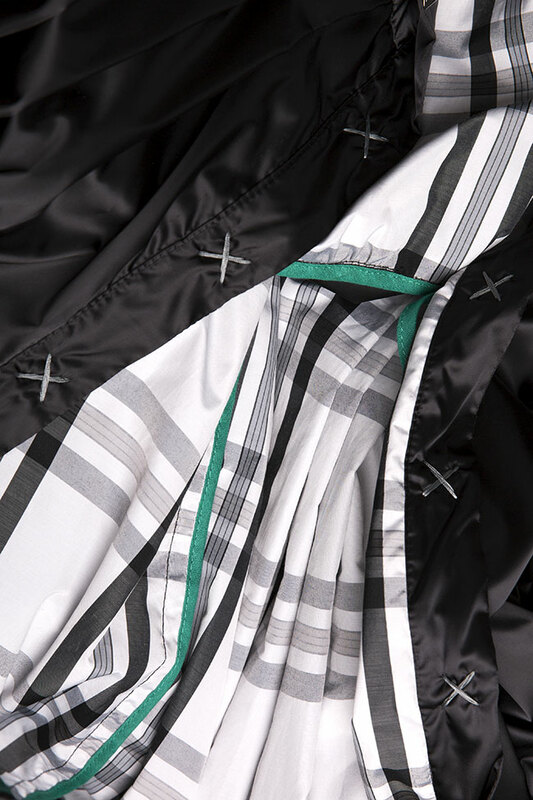 This trench is made from checked and black shell. It can be styled in both faces. Wear yours over a silk top, mini skirt and high heeled sandals. Our model measures are (cm): 87-64-94. Height is 175 cm and the product shown is size S (36).